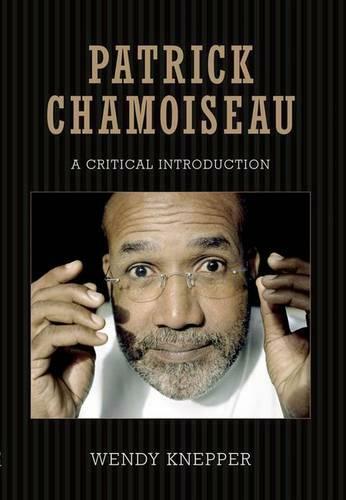 Patrick Chamoiseau: A Critical Introduction examines the career, oeuvre, and literary theories of one of the most important Caribbean writers living today. Chamoiseau's work sheds light on the dynamic processes of creolization that have shaped Caribbean history and culture. He is the recipient of numerous literary prizes, including the prestigious Prix Goncourt for the epic novel Texaco. The author's diverse body of work, which includes plays, novels, fictionalized memoirs, treatises, and other genres of writing, offers a compelling vision of the postcolonial world from a francophone Caribbean perspective.An important addition to Caribbean literary studies, Patrick Chamoiseau is an indispensable work for scholars interested in francophone, Caribbean, and world literatures as well as cultural studies. Scholars and students with interests in creolization, neocolonialism, and globalization will find this work particularly valuable.Patrick Chamoiseau brings the writer's major works of fiction into dialogue with lesser-known texts, including unpublished theatrical works, screenplays, visual texts, and treatises. This holistic, comprehensive, and largely chronological study of Chamoiseau's oeuvre includes analyses of various authorial strategies, especially the use of narrative masques, cross-cultural storytelling techniques, and creolizing poetics.